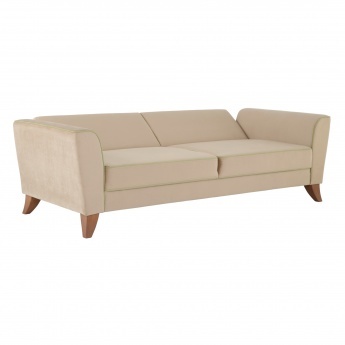 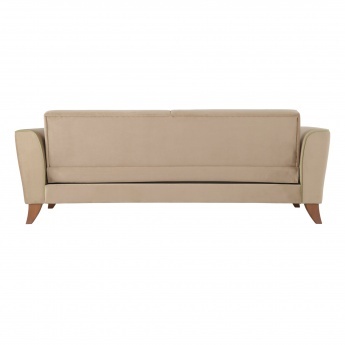 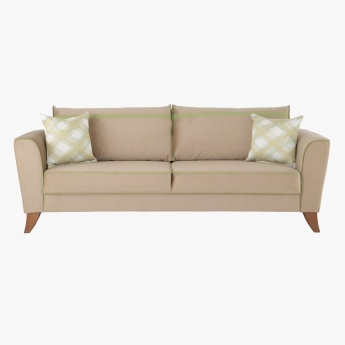 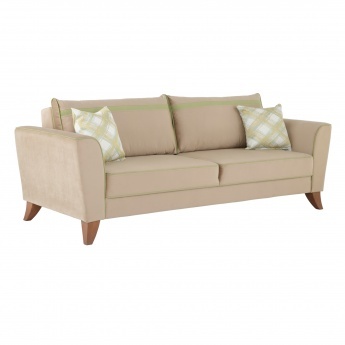 Redefine subtle elegance with this striking three seater sofa bed with its modern design. 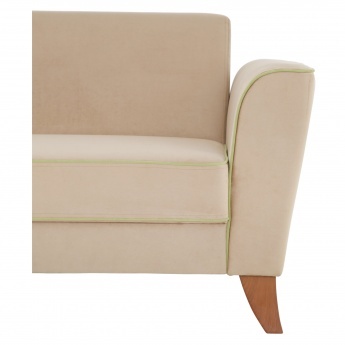 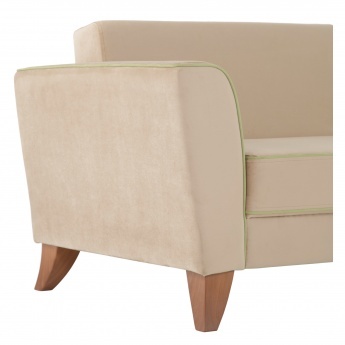 Featuring upholstered fabric with high-resilient foam filling and a convenient arm height, it is high in comfort and luxury. 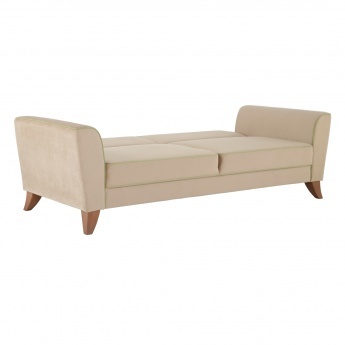 The solid wood used gives a sturdy structure to the dual-tone sofa bed and the well-designed legs add to its unique charm. It has loose fibre-filled back pillows for a relaxed sleep.